I just love a traditional Lebanese tabbuleh. It’s the abundance of herbs and the juicy dressing that I just can’t resist and always order when on the menue. So when I then try and recreate dishes like that for the whole family, in this case I’ve made a QUINOA TABBULEH, I always follow a similar pattern: the recipes are simplified, shortened so that they can be made even when life is hectic – the ingredients are mostly staple items so that I can just knock things up – but the flavours need to stay strong and dance round our palette. Easy! 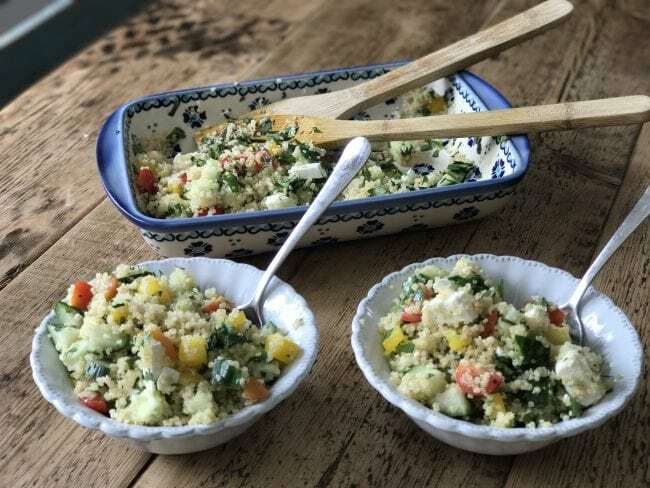 This Quinoa tabbuleh recipe is open to loads of variations, so use any veg you have in the fridge, chop them into small pieces and off you go! 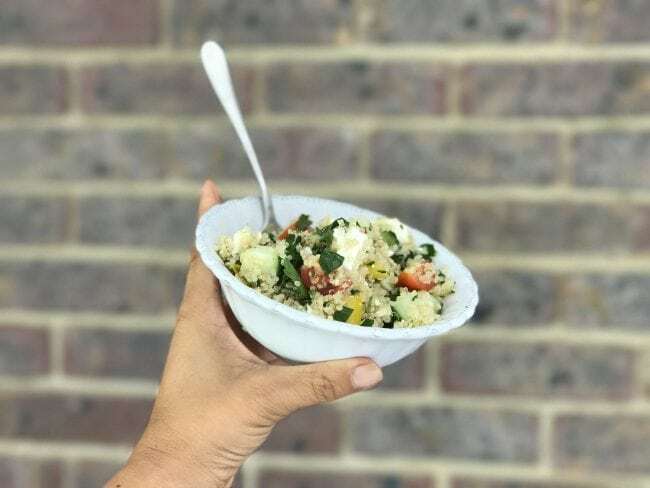 I often batch cook quinoa and keep it in the fridge so something like this quinoa tabbuleh can be whipped up in no time! 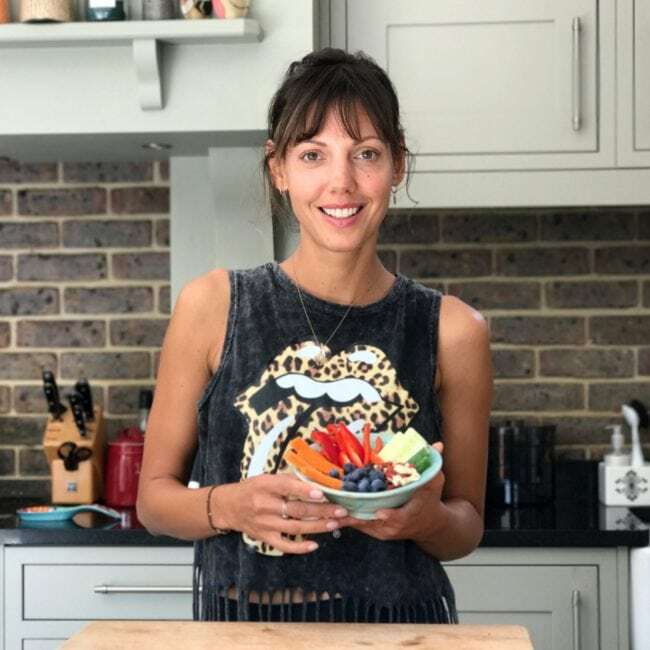 But for today’s recipe I’m using super simple staple veggies which I know the kids love too! Cook the quinoa following pack instructions, then set aside to slow to cool down. Make the dressing by adding all I ingredients to your quinoa tabbuleh and mix it all under really well.